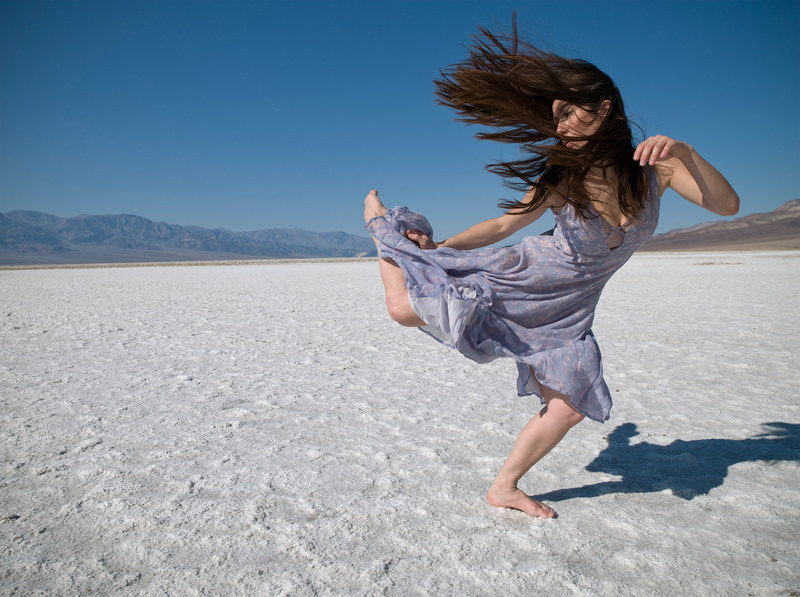 Dancer in a windy Death Valley dancing in the wind. Dancer wearing a flowing dress dancing in the wind. In Death Valley. With her hair flying all over. On the salt lake.